MOSCOW, November 28. /TASS/. The Russian national football team chose again Austria’s Neustift as its training camp as part of the preparations for the 2018 FIFA World Cup, which kicks off in Russia next summer, Stanislav Cherchesov, the head coach of the Russian football squad, told TASS on Tuesday. The training camp in Austria’s Neustift im Stubaital, near Innsbruck, was used this May by the Russian national football team’s players ahead of the 2017 FIFA Confederations Cup, held this summer in four cities across Russia. "We plan to use the same location," Cherchesov said in an interview with TASS. 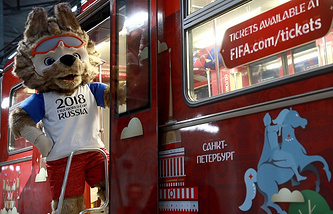 "The country’s (national) football championship will end on May 13, the footballers will take several days of break after that, then the team will spend two or three days at the training camp in Novogorsk (in the Moscow Region) and we will perhaps set off for Austria on May 20 or 21." The Russian national team is set to play two friendly matches during its training camp session and one of the games will be held abroad against a European team. "We will announce our European friendly match opponent after December 1, since the head coach of the team, which stated its intention to play the friendly against us, wants to see the results of the (2018 FIFA World Cup) Final Draw," Cherchesov added. 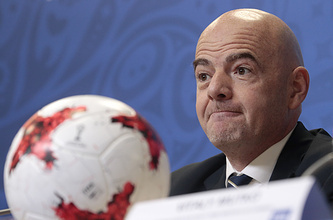 The 2018 FIFA World Cup Draw is scheduled to be held this week on Friday in the Russian capital of Moscow at the State Kremlin Palace.